Online aesthetic clothing store. Difference is our power, visit our shop and get your aesthetic! Every effort is made to ensure that our estimated delivery times are met; however occasionally delays in delivery due to unforeseen factors are inevitable. Avallone specializes in mens handmade leather goods with a history of artisanship originating in the Campania region of Italy. Our handmade leather goods feature a unique combination of luxury leather and suede for style and originality. Welcome to Barratts Shoes, for any occasion we will have the perfect shoes for you. Bloody Fabulous is your BF in discovering the latest brands, offers, and all things fabulous! Fine Hand Crafted English Bags from the Lake District of Cumbria. Elegant canvas, leather, tweed and Yorkshire wool bags for men and women. An importer and supplier of wholesale shoes for women and children. City Shoes supply over 600 stores in the UK alone. Custom leather stamps, dyes, leather working tools, paints. Manufacturers based in California. Deni-Deni are specialists in bespoke commissions for leather fashion accessories and furnishings. The lifestyle company specializes in leather Handbags and Accessories. All Elizabeth Laine products are combined with rich skins, opulent fabrics and adorned with gold-tone hardware. Every handbag makes a statement and is made for the different. Fashion shopping starts here, you decide where it ends. Embroidered polo belts made of saddle leather and hand stitched to the highest quality. We are the specialists with over 50 unique designs in four different leathers. We at HeyPaula ship quality clothing articles and accessories by fashion brands such as Better Rich around the world. Our up-and-coming brands as well as our True Religion and Better Rich sale items like our sweaters and sweatshirts are very popular! We are an one stop online platform that carry Korea and Japan Apparels. We follow the latest trend closely, so our shoppers will be expose to the latest Korea and Japan fashion. 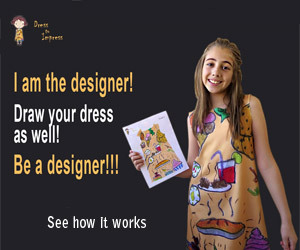 High end fashion for women of all ages and sizes. IS.Vintage is dedicated to providing the highest quality of designer vintage fashion and one-of-a-kind statement pieces. The collection offers beautiful vintage clothing and accessories that are throughly modern and totally unique. More than 300 spectacular gift ideas. Let us show you how quick and easy it is to make the holiday special and the moment - unforgettable. Luxury designer fashion boutique. Shipped from Italy to your door, we stock mens and womens clothing and accessories from a range of premium brands. Le Luxe Boutique. Leather Chief provides the best quality of zip leather jackets on a very reliable price. Perfect style beginswith unique accessories ! LBB sells peaceful yoga jewelry, fashionable boho chic accessories, as well as wrap bracelets, multilayered necklaces and the cutest little bags on the market ! Lombres is a specialist mens wallet retailer. We source lesser found stylish wallets from around the globe. lull is a new brand of high quality handcrafted bags and accessories. It combines casual urban style with a touch of extravagance. The unique mix of different forms, shapes, textures and colours makes lull a perfect choice for a modern women. Luxe-layers is an independent luxury online shopping boutique for ladies wear. We retail designer clothing from around the world including Europe, America and Brazil. The concept behind the boutique is everyday luxury wear. Maximum Boutique is an online fashion store with a story. Inspired by her son, Max, Ms. Lautzenheiser created a unique fashion boutique which offers the most popular brand name jewelry, accessories and trinkets. Located in Loveland, Colorado. We are fashion lovers. We breathe for fashion and moda accessories. We know our passion the best way we can and we would like to spread the word! OVERIDER is a women's independent fashion brand with a bohemian rock-chic edge, cool effortless style - jeans, boots, leather jackets, combine with latest trends, luxury fabric tops and boho jewellery to complete a free spirited laid-back look. Heels you can wear comfortably all day and which take you from boardroom to bar. Worn by celebrities across the world. Emerging Designer Brands, Exclusive Styles, Trendy Fashion. Men, Women garments, footwear and accessories. TITALOLA.COM is a department store for the online purchase of designer clothing, shoes and accessories. We select the finest collections from the brand leaders in the fashion industry. Every day, we update our catalogue with hundreds of new products. Vicky Halfanja Rupping is a knitwear, leather and accessories fashion label. Our philosophy is innovation, luxurious and unique. Each garment is handmade in South Africa. Details and quality are key in all designs. VVA are a premium handbag brand that allow individuality, function and choice to exist in handbags that are both beautiful and timeless. Functional versatility is the driving force behind VVA and has always been at the forefront of the brands ethos.